Cath is an introverted 18-year-old who writes fanfiction about her favourite books – the Simon Snow series. She loves spending her time in her own little world of reading and writing but her life is about to challenge her way of living a whole lot because she is heading off to college. Cath’s twin sister, Wren, may be joining her, but wants to embrace the social life and freedom that college is all about and does not want to be roommates with her sister. Facing these big changes in her life has put Cath way out of her comfort zone. 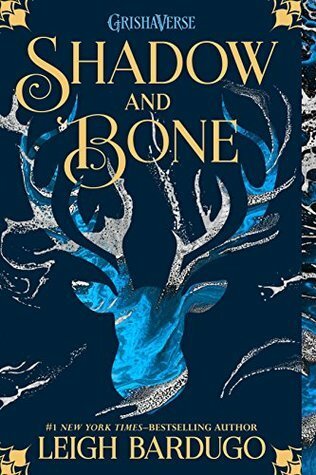 She has to deal with an eccentric roommate, a writing professor who does not see the value in fanfiction and being far away from her father, forcing her to confront whether or not she is ready to start living her own life and leave Simon Snow behind – but can she do it? It’s clear from this synopsis that Fangirl is not only a coming-of-age story but also a character-driven novel. I don’t usually enjoy stories that are hinged almost entirely upon their characters because I find them to be much slower reads, but the characters in Fangirl are so well done that I actually enjoyed this element of the novel! There is nothing more refreshing than a cast of characters who are simple, ordinary people with their own issues and setbacks, but also with unique personalities. All of the characters, from Cath to Reagan, and Wren to Levi, leap right off the page and contrast yet compliment one another so well. Some are outgoing and loud whilst others are reserved and quiet, creating a cast that is balanced and diverse in personalities. 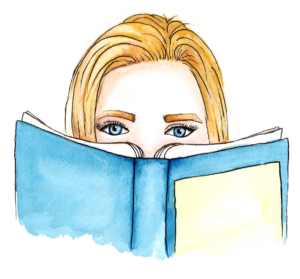 No matter who reads Fangirl, there will be a character in the novel that they can relate to, which I think is especially important for readers who are about to enter college themselves. All in all, I really love the characters and I appreciate their complexity and authenticity. Another aspect of the novel that I enjoyed was the emphasis placed on familial relationships and their importance during such a transitory time in a young person’s life. Cath’s relationships with her father, sister, and estranged mother are all put to the test as she enters college, seeing her become distant from some and close with others. Rowell gives the reader just the surface of the family’s problems and the relationships between each member rather than giving us a detailed background, making reading about them all the more intriguing. You get a sense of what happened but I like that it is never entirely revealed in order to make sure the story is more about Cath’s transformation than her family’s dilemmas. The tension within the family and between some of its members is palpable yet does not take centre stage which I loved since I was more concerned about Cath and her journey. 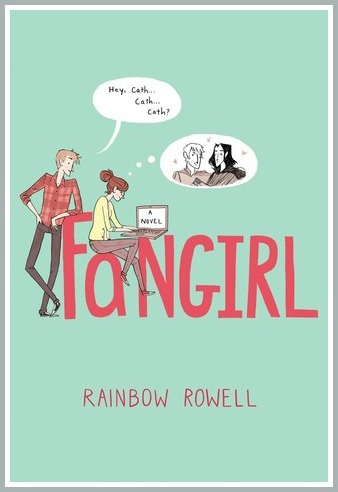 Despite the realistic characters and focus on family, I needed more from Fangirl. There is no anticipated climax and the story ultimately ends with some unanswered questions. There are so many aspects that felt unfinished and this left me feeling quite underwhelmed. In addition to this, I did not enjoy the fanfiction elements of the novel. I felt that inserting snippets of Cath’s fanfiction at the end of every chapter was a bit much and did not tie into the main plot arc very well. I understand that it is a way of giving the reader more insight into Cath’s thoughts and passion for writing, but a paragraph here and there throughout the novel would have sufficed. The most compelling aspect of this novel is, without a doubt, the characters. I saw a lot of my first-year-of-university self in Cath and related to many of the anxieties that she felt about this new chapter in her life. Were it not for this, I may have given Fangirl a lower rating. What ultimately prevented me from giving this novel a 5-star rating was its incompleteness. I wish there was more to this story simply to wrap it up nicely. If you are looking for a quick coming-of-age story, I think Fangirl is a great choice. Otherwise, do not expect to be blown away. I hope Rainbow Rowell’s other novels prove to be more exciting because I do plan on picking them up!